Scud was first deployed by the Soviets in the mid-1960s. The missile was originally designed to carry a 100-kiloton nuclear warhead or a 2,000 pound conventional warhead, with ranges from 100 to 180 miles. Its principal threat was its warhead potential to hold chemical or biological agents. It is directly descended from the German V-2. Its warhead is permanently attached to the missile body and thus has a high velocity impact. The first combat use of the Scud occurred in 1973 in the Arab-Israeli Yom Kippur War. It was later used in the Iran-Iraq war of the 1980s. "The Iraqis modified Scuds for greater range, largely by reducing warhead weight, enlarging their fuel tanks and burning all of the fuel during the early phase of flight (rather than continuously). Such a Scud therefore came down with a relatively heavy warhead and a heavy motor, separated by the light empty fuel tank. It was structurally unstable and often broke up in the upper atmosphere. That further reduced its already poor accuracy, but it also made the missile difficult to intercept, since its flight path was unpredictable. The Iraqis had four versions: Scud itself (180-km range), longer-range Scud (half warhead weight, extra range attained by burning all propellant immediately rather than steadily through the flight of the missile), Al Hussein (650-km, attained by reducing warhead weight to 250 kg and increasing the fuel load by 15 percent), and Al Abbas (800-km, achieved by reducing warhead weight to 125 kg, with 30 percent more fuel). Al Abbas could be fired only from static launchers; all of the others could be fired from mobile or static sites. Only the original Scud and the minimally modified version were particularly succesful." While there is uncertainty over the total number of Scuds fired during the war, one study done by General Merrill McPeak, Chief of Staff, U.S. Air Force,("The Air campaign: Part of the Combined Arms Operations," Dept. of Air Force, 1991) is considered the most reliable. McPeak's data, drawn from a variety of coalition sources, indicates that between January 18 and February 26, 1991, 40 Scuds were launched against Israel and 46 against Saudi Arabia. "Efforts by Coalition air forces to suppress Iraqi launches of Scud misiles against Israel, Saudi Arabia, and other Gulf nations during Desert Storm ran into many of the same problems evident in the case of the Iraqi's nuclear weapons program. Key portions of the target set--notably the presurveyed launch sites and hiding places used by the mobile launchers--were not identified before 17 January 1991, and, even in the face of intense efforts to find and destroy them, the mobile launchers proved remarkably elusive and survivable. Although Iraq's average weekly launch rate of modified Scuds during Desert Storm (14.7 launches per week) was lower than it had been during the 1988 "war of the cities," and while launch rates generally declined over the course of the Gulf War, the actual destruction of any Iraqi mobile launchers by fixed-wing Coalition aircraft remains impossible to confirm. Coalition aircrews reported destroying around eighty mobile launchers; another score or so were claimed by special operations forces. Most of these reports undoubtedly stemmed from attacks that did destroy objects found in the Scud launch areas. But most, if not all, of the objects involved now appear to have been decoys, vehicles such as tanker trucks that had infrared and radar signatures impossible to distinguish from those of mobile launchers and their associated support vehicles, and other objects unfortunate enough to provide "Scud-like" signatures. Over the 43 days of Desert Storm, roughly 1,500 strikes were carried out against targets associated with Iraqi ballistic missile capabilities. Over eighty percent of the Scud launches during Desert Storm occurred at night. Even an F-15E orbiting near a fleeting target the size of a MAZ-543 mobile launcher had little chance of identifying and acquiring the vehicle before it reached a "hide" site. 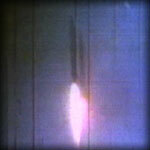 The clearest evidence of this can be drawn from the forty-two occasions on which Scud launches were visually observed by orbiting strike aircraft. In only eight of these cases were aircrews of strike aircraft able to visually acquire the target sufficiently to deliver ordnance. Even allowing for the long distances at which a Scud launch could be seen at night, aircraft such as F-15E and the FLIR-equipped F-16L experienced fundamental sensor limitations that rendered the probability of finding Iraqi mobile launchers extremely low--even when the launch point could be localized into a relatively small area in near real time by either aircrew visual sightings or offboard sensors providing coordinates."